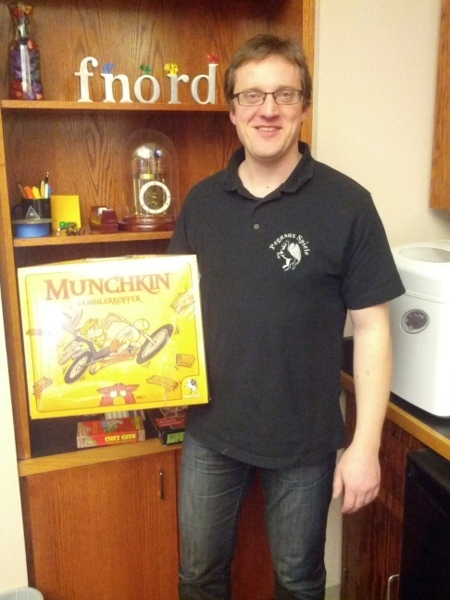 On January 18th, we were pleased to host Karsten Esser, from our German publisher Pegasus Spiele. Meetings were had, decisions were decided, and secret plans were laid bare (and then promptly covered back up). We've worked with Pegasus for 20 years, which is a VERY long time to maintain this sort of business relationship, and it was a pleasure to be able to show Karsten around the office and around Austin after the many times he and his team have done the same for us at Essen. We look forward to seeing you soon, Karsten!